Dr. Greene lectured at the Global Aesthetics Conference, which brings the top practitioners from the core aesthetic specialties together to collaborate on how to deliver the best possible care to their patients. Conferences such as these are essential in helping to improve patient outcomes and spearhead further technology developments. 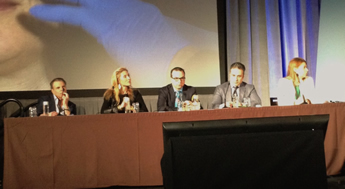 Dr. Greene was asked by Allergan to lecture at the Aesthetic Extender Symposium conference in Hollywood. He discussed how to best integrate the newest Juvederm Vycross fillers into aesthetic practices. These fillers, produced by Allergan, include Voluma, Vollure, and Volbella. 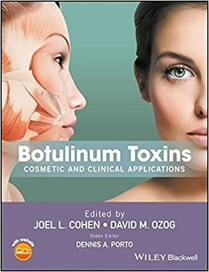 Dr. Greene co-authored a chapter in a the definitive textbook about neuromodulators (Botox, Dysport, and Xeomin), which comprehensively covers every aspect and detail of these treatments. Dr. Greene's chapter is titled 'Patient Selection,' which discusses how to achieve the best results through proper assessment and customized patient treatments. We are proud to be one of the first offices in the U.S. to receive the new CoolMini from CoolSculpting. CoolSculpting received an additional FDA clearance from the U.S. Food and Drug Administration (FDA) for the new, CoolMini applicator. The revolutionary design of the CoolMini applicator will enable our practice to treat unwanted fat located in smaller areas of the body with little, to no downtime.The applicator's size, shape and curvature is designed to comfortably fit small problem areas. Common areas for treatment include the submental area for chin fat (double chin), around the knees, and around the armpits (back flanks). The CoolMini applicator will provide a truly compelling alternative to other popular devices and methods currently used to treat and contour the neck, like liposuction.To learn more about the CoolMini, visit our CoolSculpting website. The American Academy of Facial Plastic and Reconstructive Surgery is the world's largest specialty association for facial plastic surgery. 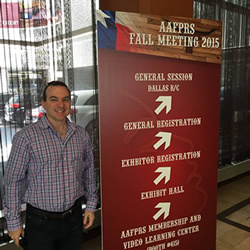 The society's Fall Meeting was held in Dallas, Texas at the Sheraton. Dr. Greene presented on Ultherapy to discuss the benefits of ultrasound technology on skin tightening and facial rejuvenation. The 6th Annual 5CC Conference took place in beautiful Cannes, France. The 5 Continent Conference has established itself as one of the finest educational opportunities in the world, with respected speakers in the field of aesthetic dermatology and plastic surgery from around the world. 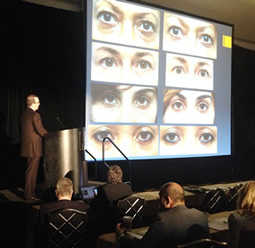 Dr. Greene lectured about the impact of anatomy of facial filler outcomes. He also presented his ground-breaking study on patient satisfaction using Juvederm Voluma. At the annual Vegas Cosmetic Surgery meeting, Dr. Ryan Greene delivered presentations on laser treatments of acne scars and practice management. He also moderated one of the Masters' Sessions. This meeting is considered by many to be the premier multi-speciality meeting every year, where facial plastic surgeons, plastic surgeons, dermatologists, and oculoplastic surgeons come together to exchange ideas and deliver presentations on state-of-the-art treatments and technologies. While participating on a panel alongside a number of other world-renowned dermatologists and facial plastic surgeons, Dr. Greene demonstrated his Liquid Cheek Lift technique using Juvederm Voluma by injecting a live patient. He also demonstrated an IPL and non-ablative laser treatment as well. The panel and demonstration were used to instruct attendees on how to administer safe and effective treatments. We now live in a time when cosmetic treatments have become more effective, more attainable, and less invasive. Dubbed by Ryan Greene, MD, PhD, as ‘The Botox Effect,’ patients now demand procedures with big results and little downtime. Enter cryolipolysis, a procedure developed by Harvard scientists that helps patients to lose their fat without any surgery at all. Many know this procedure as CoolSculpting, which has become the hottest (ironically) fat reducing procedure in the world. Read the full article: Can You Really Freeze Away Your Fat? At the annual American Academy of Facial Plastic & Reconstructive Surgery meeting, Dr. Greene delivered three of the meeting’s many excellent presentations: ‘An Anatomic Approach to Facial Fillers,’ ‘The Use of Radiofrequency with Lasers and Light,’ and ‘Treatment of Acne and Associated Scarring.’ His presentations discussed his pioneering approach to filler treatments and laser treatments for facial aging and acne scars. Dr. Greene was among an elite group of Initiates from around the world who became Fellows of the American College of Surgeons during the convocation ceremonies at the College’s recent 98th annual Clinical Congress in Washington DC. Fellows must meet stringent ethical, educational, and training requirements for membership, in order to use the designation ‘FACS’ after their name. The American College of Surgeons is a scientific and educational organization of surgeons that was founded in 1913 to raise the standards of surgical practice and to improve the care of surgical patients. The college is dedicated to the ethical and competent practice of surgery, and with more than 78,000 members, is the largest organization of surgeons in the world. 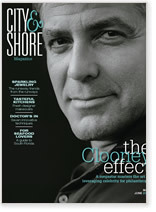 Dr. Greene's rhinoplasty expertise is featured in the recently published book 'Complications in Facial Plastic Surgery.' In the book, Dr. Greene co-authored the chapter 'Rhinoplasty Complications.' The book has been published by Thieme Medical Publishers. At the annual American Academy of Facial Plastic & Reconstructive Surgery meeting, Dr. Ryan Greene presented his research on the current practice of using fillers in the nose. In his talk, he discussed complications that had been encountered by some physicians and its impact on rhinoplasty. The talk was well-received among the attendees and generated discussion about this relatively new phenomenon. 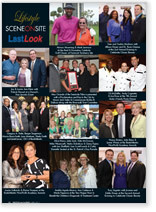 Greene.MD is proud to be a sponsor of the Sun-Sentinel's Party in Pink, raising money for breast cancer awareness.